This product provides outlooks for the current month, the month following and a seasonal look at the two months beyond that. 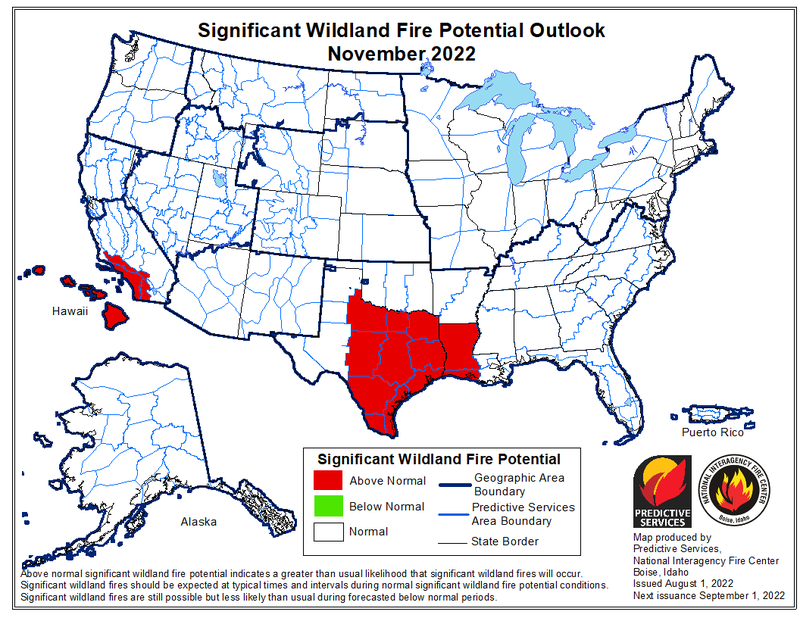 The main objectives of the National Significant Wildland Fire Potential Outlooks are to improve information available to fire management decision makers. These assessments are designed to inform decision makers for proactive wildland fire management, thus better protecting lives and property, reducing firefighting costs and improving firefighting efficiency. The following maps represent the cumulative forecasts of the eleven Geographic Area Predictive Services Units and the National Predictive Services Unit. 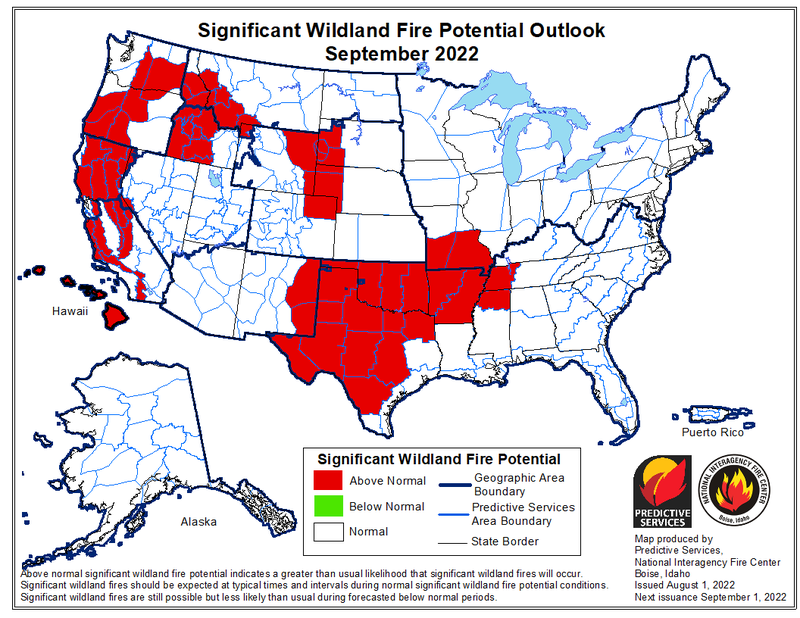 The entire text document can be found at the following link, National Wildland Significant Fire Potential Outlook. This product is updated on the first of each month. 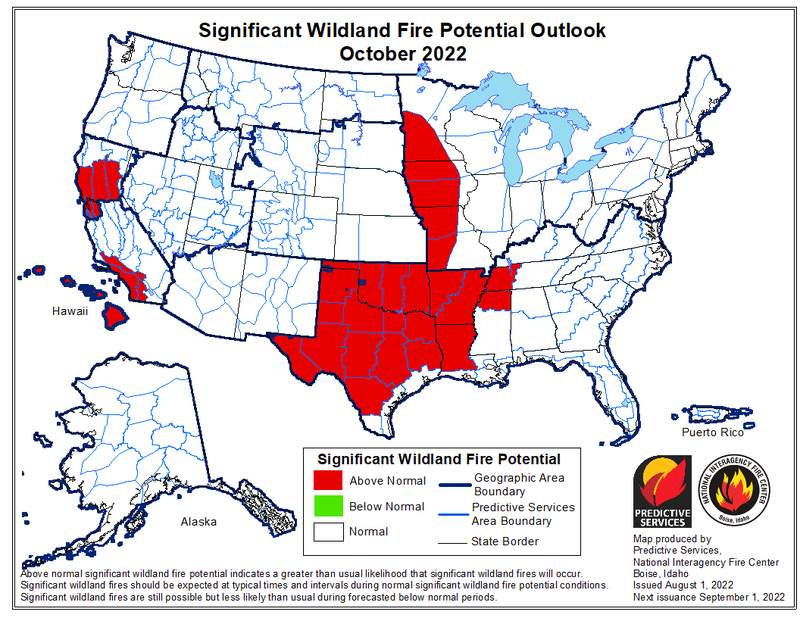 North American Significant Wildland Fire Potential Outlook. 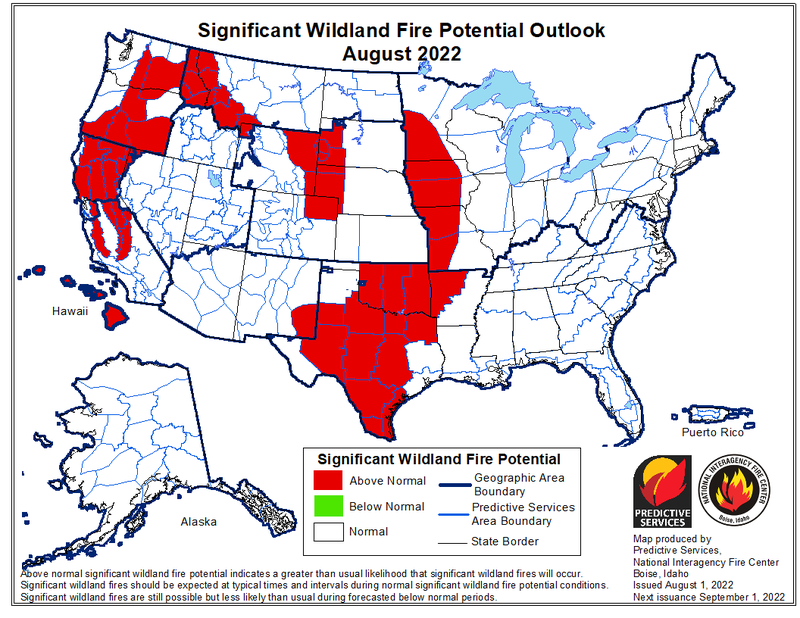 These maps are a compilation of Geographic Area 7-Day Significant Fire Potential Outlooks. This product should be fully updated by 12:00 MDT daily. Note: These outlooks are only posted when Geographic Areas are in fire season and Predictive Services staff are on duty..
Each Geographic Area Predictive Services unit produces fire weather, fire danger, and fire potential reports. Predictive Services Outlooks for each Geographic Area can be found by clicking on the Area on the map below.